Mining jobs for women are everywhere. Roles in the mining industry have now become gender neutral in a variety of professional, trade and entry level areas. If you’re a woman and looking for ways to get into mining – read this post first, the do some more reading by clicking the links below. Mining positions do not necessarily require specialised education or training to get the job – often attitude and character are all you need. Because mining is a team-orientated domain, your communication skills and outlook on working in teams will go a long way. Mtime we think of cleaning jobs in the mines as a way to get foot in the door. These jobs require employees to look after mining camps by cleaning buildings, working in kitchens etc. Cleaning occupations in the mines tend to favour people who live locally to the mine, although we do see a lot of FIFO cleaning jobs advertised as well. Food preparation is another important job, hungry miners, working long shifts away from camp, mean there’s always a need for people who know how to prepare food and clean up after them of course. Working with groups of professionals to feed the mining community on a 24hr, 7 day a week basis, this is a great way to get to know the camp and who the bosses are – work your way up. If you’re looking to take charge of the food prep, then as a Chef you’ll need some experience and the ability to have good management skills and the experience of handling large kitchen staff. Queensland’s female mine workers say mining companies are already addressing the issue of gender pay gaps and inflexible hours which turned women off mining in the past. They have instituted parent-friendly work rosters and have better pay and conditions already in place. A survey, completed by the Office of Women Queensland, the Australasian Institute of Mining and Metallurgy and the Women in Mining Network, said women were an untapped resource and offered a solution to the growing skills shortage. BMA Coal engineer, Melanie Gordon, 30, said mining was “the place to be”, for female workers. Ms Gordon is the maintenance and engineering manager at Moranbah’s Broadmeadow mine. “I’m very young to be doing the job I’m doing “for a male or a female” and I would not say I have been held back in any way because I am female. At iMINCO, we’re always connected to the largest mining companies and mining industry organisations to bring you the information that ultimately helps YOU get into mining. An Australian Government Task Force is looking at the Natural Resources Sector. The Task Force says there are sound reasons for companies to consider strategies for recruiting people who are currently under-represented in the sector, such as women, Indigenous people and school leavers. Increased participation of these groups not only has the potential to increase the supply of skilled labour, it also has the potential to enhance diversity, which may assist in improving workplace culture and building social capital. The resources sector is cognizant of the need to develop strategies to better engage women. 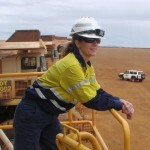 In 2004, the Minerals Council of Australia established a Women in Mining Dialogue to engage industry and external stakeholders on issues related to the effective participation of women in mining, and the extension of the socio-economic benefits of mining operations to women in neighbouring communities. This was followed by a research program which focused on the impact of existing workplace policies, structures and cultures on the recruitment and employment of women in the mining industry. The report found that women comprised around 18 per cent of the minerals industry workforce. Indigenous women represented 12 per cent of all Indigenous employees in mining. However, women represented just over three per cent of all employees at mine sites and minerals processing operations. In other words, they were mainly employed at corporate offices. The Minerals Council of Australia reports that the minerals sector continues to develop strategies for engaging women, including underemployed women who live near resources operations. Both men and women with Vocational Education and Training and trade qualifications fill a wide range of positions in the resources sector, especially within civil construction, mining and oil and gas operations. Most come to the sector already qualified. Although the sector does not generally assist people to obtain an initial qualification, there are exceptions in some apprenticeships areas and for some Indigenous students. Many employers put individuals through further training, including a second apprenticeship, to develop specific skills. Other may undertake sector-related training packages, such as drilling or metalliferous mining, with a view to gaining entry to the sector. These programs are delivered by Registered Training Organisations which are made up of public providers, including schools, TAFEs, adult and community education providers and dual-sector universities and private providers. VET programs may be accredited, involving a structured teaching program that leads to a nationally-recognised skills set or qualification; or unaccredited, which does not lead to a recognised qualification. The former category is invariably provided through public and private Registered Training organisations. The latter may be provided by vendors, such as Caterpillar or Komatsu, who train site employees on particular equipment. Can We Produce More Skilled Workers? VET and higher education providers will need to produce more graduates with relevant skills to meet the resources sector’s increasing demand for skilled labour. Additional pathways are being provided by the new version of VET FEE-Help which is called VET Student Loans., This loan from the government helps people to complete training courses with no money up front.Eligible students can borrow up to $5,000 – $10,000 for Diploma courses. Students repay the loan to the Australian Government through the taxation system once they reach a minimum income threshold level, which at the moment is a little over $55,000. Through the Australian Apprenticeship Incentives Program, the Australian Government provides a range of financial incentives to employers and apprentices to encourage commencement, retention and completion of these skills-based training arrangements.The Australian Government also provides support through Australian Apprenticeships Support Services for employers and apprentices throughout the life of the training agreement. These services are delivered through third party providers known as Australian Apprenticeship Centres. Hi I’m staying in south africa,I would like to work that side I have matric and incompetent coal mining course.What procedure to follow?Thank you regards Lucy Motloung. Hi Lucy, sorry to say it is very difficult for you to come to live and work in Australia at this time. In 2015,many people are looking for jobs and it is tough. You need also a 457 Visa to work in Australia which means a mining company or mining contractor must sponsor you. It is therefore highly unlikely that you would be offered a position here in Australia. Good luck in the future. View a list of catering and utility companies for mine site operations in Australia. This will give you some ideas on how and where to start. Also, download the e-book that shows you how to get entry level mining jobs… it’s free and it contains a lot of good information on how to break into mining. With your experience in retail and hospitality it may just work in your favour as it shows you are good working with people and the industry is built on people working in teams. You may also consider doing a training course to become a trainer and assessor as this is always a good qualification to have and you can use it across various industries and not just mining. R.E. How do I get an entry level mining job as a cleaner or utility person? R.E. How can I get a foot in the door in the mining industry? how do i get a job cleaning at the mines would like to fly in fly out. We get a lot of people asking that question, so here’s what I would do – I hope this helps. Entry level mining jobs are available all of the time, you just have to know where to find them and how to go about contacting the mining companies that are advertising the jobs. On the iMINCO website there is some good information on women in mining, take a look, as there is some good information there. Nearly all of the jobs are advertised on-line, so if you can find your way round a computer and Google – you’re half way there. 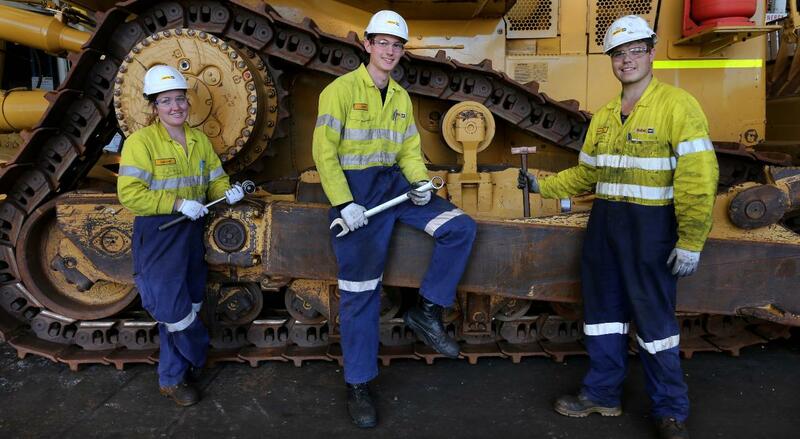 Go to the popular mining jobs boards like seek.com.au, indeed.com.au, careerone.com.au, miningcrew.com.au. Do a search for “entry level mine cleaning jobs mines” and you’ll soon see a list of jobs. Once you know where the jobs are, get your mining specific resume ready. If you don’t have one, then see about getting a mining specific resume written for you, to highlight your skills and experience to mining companies. With a good resume you’ve got a better chance at getting that all important interview. Here’s a link to some tips on how to write a resume. Also, ask your friends if they know of anyone working in the mines, as word-of-mouth is also one of the most popular ways of landing a job in the mines…and don’t forget to sign up to the iMINCO Mining Project News because we’re featuring more and more mining jobs in the weekly email newsletter..it’s free! r.e. How do I get a cleaning job in the mines. Have you completed your generic mining induction? can you tell me how I can get into a entry level dump truck operator role in WA? I have just been tot he WIMWA event and was enthused about how they are being a women in mining as well as having a family. It has lead me to look at really changing my direction from admin in mining to something more exciting! I have looked on various company sites for driving training in HR or HC but was wondering if I can get into an entry level role on a “c” class? We’re seeing a lot of women entering the mining industry now and especially as dump truck drivers. In fact, Industry Pathways Brisbane based dump truck training course next month is holding an all-women 5 day intensive training course…a sign that women are taking the mining industry seriously and are looking to invest in their future in mining. That’s not to say that was the first job they did on a mine site. More often than not, you can get a foot in the door as a haul truck operator by starting off as a entry level worker and work your way up to being a dump truck driver. You see Lisa, there is a lot of competition for dump truck jobs, so you have to be sharp and on your game. Some of the best advice I can give you is to keep trying and applying for jobs, however, many companies in WA are asking that you have an HR licence because they are looking for people who have those skills and experience driving a variety of heavy read vehicles. You stand a much better chance at getting a look-in if you have completed the right <a href="” title=”Haul truck driver training course – Brisbane”>haul truck training course like the <a href="” title=”Haul truck driver training course – Brisbane”>(RIIMPO311A) Conduct Haul Truck Operations certification. This is a nationally recognised certification and shows a mining employer that you are fully aware of what it takes to not only drive these massive vehicles but also are aware of the safety and maintenance too. Dump trucks can cost up to $5 million and mining companies want to know they have safe drivers at the wheel. r.e. Can I get an entry level mining job as a dump truck driver on a class ‘C’ licence? Hello, my name is petah burnett, i would likev to apply for a cleaning position in qld mines, i have many years of cleaning nad working in kitchens, how do i go about this? I am very reliable, hard working, friendly,regards, petah burnett. There are a lot of people looking to get into the mines at the moment. The best advice I can give you is to do your research. Find out what contracting companies already supply cleaning services to the mining industry. Mining companies contract other people to do their cleaning, this is the best place to start. Google Mining Cleaning Contractors in your State for more information. You’ll find a lot of companies supplying services to the mining sector. Ask your friends if they know anyone who works in the mines, as word-of-mouth, as you know, can often be the best way to get your foot in the door. Hop on to SEEK.com.au and search for ‘cleaners mining’, there are a lot of positions advertised for ‘cleaning jobs in the mines‘. r.e. Cleaning jobs in the mines. The best advice I can give you is to do your research and find out what contracting companies already supply cleaning services to the mining industry. Mining companies contract other people to do their cleaning, this is the best place to start. You’ll find a lot of companies supplying services to the mining sector. Ask your friends if they know anyone who works in the mines, as word-of-mouth can often be the best way to get your foot in the door to a mining job. Go to SEEK.com.au and search for ‘cleaners mining’, there are a lot of positions advertised for ‘cleaning jobs in the mines‘. Breaking into the mining industry is just like any other job. You need the right mix of skills and experience, plus in the mining industry you must have completed the right certification courses. Mine sites are heavily regulated and you need to understand the safety procedures. This is why a generic mine ready certification is essential (you can’t work on a mine site without this certification). Also, a good mining focused resume is critical to get your foot in the door. There are loads of free resume tips on our website too. Once you have competed your mining induction course and have a good mining industry focused resume, you can start to look on the mining jobs boards like seek.com.au and careerone, plus get in touch with the mining companies in Australia, we’ve put up a good list of mining companies on our website. The first thing to do is work out where you want to work and get the correct induction for that mine site. See the mining induction course for more information, it’ll give you the information you need. Hi, I am currently completing a Cert IV in occupational health and safety which I am almost finished and hope to complete a training and assessing course after this, is there anyone that works in this department that has any recommendations on what to complete after this or how to better my chances of getting into the mining industry. I am willing to do whatever training is required. Thanks for your question. Mine sites are very much focused on the health and well-being of their employees and with the increase in mining projects, there are some good opportunities to secure a good job in the mines with the qualifications you will have. Call the office on (07) 5520 2522, they will be able to tell you how you can compliment your health and safety Cert IV (BSB41407) with the relevant mine-ready certification. R.E. 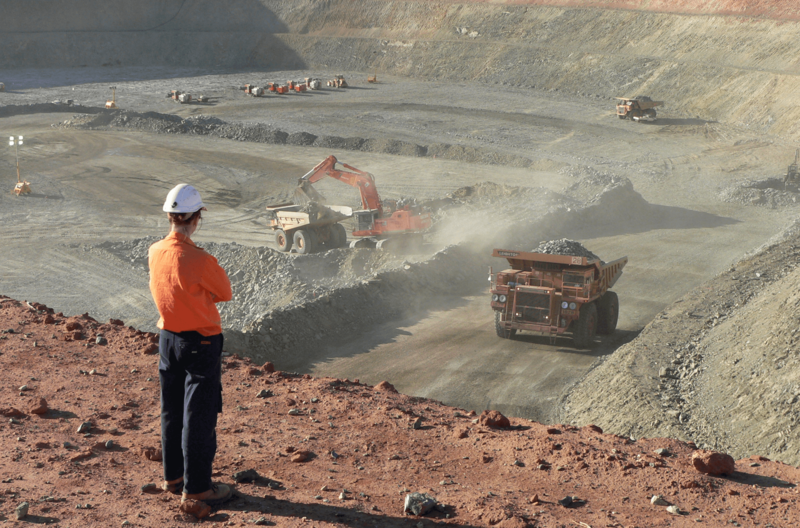 Cert IV in Occupational Health and Safety qualified – getting jobs in the mining industry. I am already working in the mines in WA, but I live on the Gold Coast, and don’t want to be flying back and forth across the country anymore. Does anyone have any names of companies in QLD that I can try? I am currently a housekeeping supervisor, but will do anything.. Food prep, cleaning, admin etc. Hello I would like to find out the pay rates (salary) for cleaning or cooking jobs within in the mines. If anyone could help with some information that would be great. The best advice I can give on finding pay rates in the mining industry is to go to Google and type in “mining pay rates”, or “pay rates for mining jobs”. You’ll find a lot of websites that will give you the info you’re looking for. Hi misty, I’m sorry I don’t have a number for Qld but wondered if you can help me with how I can get into a job in housekeeping in the mines? And what I need first? I am Queensland also but don’t mind relocating if need be to get a job. First of all you need the right inductions and if you are working in a coal mine in Qld you may need to complete a mining induction training course before you start to apply for mining jobs. You also need a good mining focused resume, something that mining companies are really hot on. They get 100s of applications every week from people who want to work in the mines, so your resume must stand out from the rest. Once you have your mine-ready certification and your resume is updated, there are many online mining job boards you can go to. R.E.Getting a job in the mines as a housekeeper. Courses you need to complete. Best way to go is to do the courses that allow you to be prepared and accredited to work on a mine site. See the mining induction course for more information on coal mining inductions, it’ll show you exactly what you need to do to prepare yourself for a job in mining. I live in Far North Queensland (Ingham) and would like to find work in the mining industry. I am currently employed as a cleaner at the local age care home but would like to experience something new and even get re-trained if a position requires it. I am hard working and open to your recommendations. I am heading off to Canada on the 16/9/2011 and will return on the 24/10/2011, but would still like to receive any information you can provide to assess my options for work in the Queenslands mining industry. Hello, I am looking at returning to Australia soon and want to know what courses I can do by correspondence immediately to help me get a head start for the Mining Industry. I am very focused on OH & S would like to investigate opportunites for this. I am quite happy to learn the Dump Trucking if thats what it takes to get a foot in the door and learn more from there. I am 53 going on 35 with no experience in Mining, what are really the prospects of securing a job and how difficult are they to get with no experience?? I think this site is good for women looking for a mining jobs, not many other sites help women understand what is needed in this field. Thanks Cilla. We are trying to help all members of the community who want to find mining jobs do just that. An extra bit of knowledge can help in this regard, and we are committed to keeping our information regularly updated. Sure do Cristy. The mining Industry is only getting bigger and bigger. We will have the largest database of skilled trade workers in Australia. This includes a concentration of current minority groups like women, indigenous and underemployed workers to be job ready for mining opportunities Australia wide.